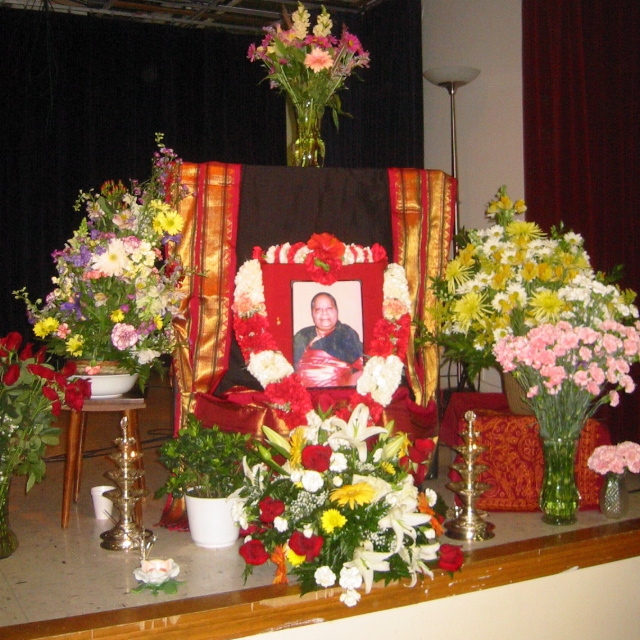 A memorial service was held on the evening of Saturday 8 March at 6 PM at the Sri Venkateswara Swami Temple in Aurora, Illinois. Three groups performed bhajans (devotional songs) in Tamil and Telugu, and a number of friends and family members spoke. Dinner was served at 8 PM. Nearly two hundred people attended. Some photos are displayed on the next two pages. We also made an audio recording of the bhajans and spoken remembrances; this is available on request. Printed copies of the memorial book of devotional songs are also available on request.